Ahh the sun! The warm and bright cuddly friend that we have missed for so long. Many of you may have travelled to warm exotic places in the long winter months, or maybe you are planning to soon. But either way the hot weather is starting to arrive here at home – so be prepared everyone. I recently took a trip to Florida and as stupid as I could be, I sat on a beach for three hours without any sun screen. I obviously don’t take my own advice, which can be found here for sun care and protection. So once I returned home a red, hot, painful lobster, I had to deal with it. An insane amount of aloe was used. But no matter what I did my entire body peeled. Literally from head to toe. It was beyond gross. But it happens, and it could happen to you too. So how do you treat the itchy, uncomfortable pain. And how do you prevent scarring?! 1. DO NOT PEEL IT OFF – as tempting as it may be….and gross….do not peel at your peeling skin. Unless you want scars that is. That is the number one way of getting blotchy scars, and discolouration throughout your skin pigmentation. Plus…do you want to sweep up skin (it happens). 2. Colloidal Oatmeal Bath – this is the best way to sooth the itch. It’s also a great way to treat rashes, burns, minor irritations, dry skin, etc. You can buy colloidal oatmeal from brands such as Aveeno but you can also make a form of your own, which is what I did. 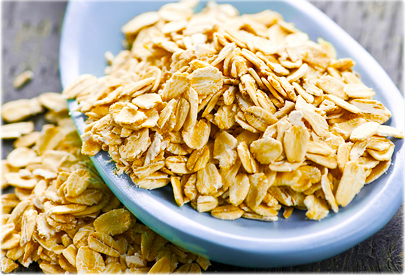 Just take some large flake oats (not quick oats) and grind them to a powder. I did so in my Magic Bullet. Then toss is in the bath. Not too hot, not too cold. Luke warm. Sooooothing. 3. Moisturize!! – It’s super important to introduce all of that moisture back into your skin, and heal what has already been damaged. So a good moisturizer is necessary. As said before I love my Body Shop Vitamin E Body Butter and I started by using this, but after a few days when the peeling got too bad, rubbing a thick body butter into my skin just made the peeling worse. So I transitioned to the Vaseline Spray and Go Aloe Moisturizer, which is great for moisturizing without having to rub it in!! Its a new find of mine and I love it. Sometimes I’m just to lazy to rub in the moisturizer. Perfect solution. 4. Don’t burn yourself in the first place. Check out my tips and tricks for summer sun protection and prevent the burn. And love the sun, its been missing for too long! :( I am a lobster.. thanks for the tips!